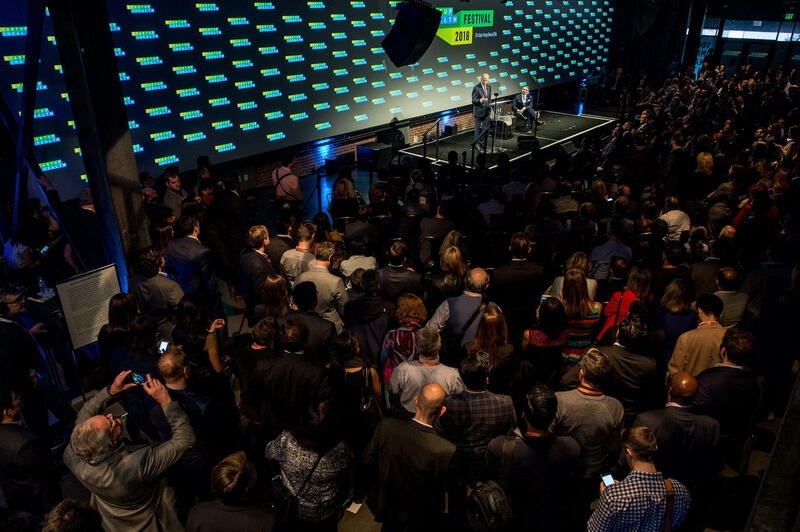 Each year the StartUp Health Festival brings together 2,000 leaders, change makers, innovators and entrepreneurs for a transformative gathering focused on achieving Health Moonshots. This invite-only experience, taking place alongside the JP Morgan Healthcare Conference, will rally a global army of Health Transformers who are reimagining the future of health. Welcome to the 7th Annual StartUp Health Festival! Assaf Shalvi, CEO & Co-founder, Swift Shift Inc.
Chief of Radiogenomics and Interim CEO, Human Longevity Inc.
Now in its third year, the Accenture HealthTech Innovation Challenge has once again brought startups, life sciences companies and healthcare organizations together to tackle the world’s biggest health issues. After receiving more than 1100 applications from across the globe, semi-finalists were invited to compete in our regional rounds in Tokyo, Sydney, Dublin, Boston. Our esteemed judging panel included top executives from the world’s leading health and life sciences companies. The finalists selected from each regional round converge in San Francisco at the Startup Health Festival for a chance to be named our Innovation Champion. Welcome to Day 2 of the 7th Annual StartUp Health Festival! Is Data the Key to Our Health’s Future? Brian Neman, CEO & Co-founder, Sanguine Biosciences Inc.
William Carson, MD, President & CEO, Otsuka Pharmaceutical Development & Commercialization, Inc. In partnership with Oliver Wyman and RedCrow, celebrate with a room full of batteries included Health Transformers, innovators, and Moonshot thinkers. The StartUp Health Festival is a highly curated, executive-level event. If you have received an email invitation, please RSVP above. President & CEO, Otsuka Pharmaceutical Development & Commercialization, Inc. Interested in partnering with StartUp Health? Contact us below for more information. The 2019 Festival will take place at the StartUp Health Village, within walking distance of Union Square. This tri-level space is home to the StartUp Health Cafè, The Networking Lounge and the StartUp Health Festival Mainstage. In 2011, StartUp Health introduced a new model for transforming health by investing in a global army of coachable entrepreneurs, called Health Transformers, committed to transforming health. With the world’s largest digital health portfolio (235+ companies spanning six continents, 20 countries and 70+ cities), StartUp Health is mobilizing this rapidly growing army along with the world’s ‘batteries included’ leaders, innovators, and investors to achieve 10 Health Moonshots, with a 25-year mission to improve the health and wellbeing of everyone in the world. The StartUp Health Festival is a highly curated, executive-level event. We accept invitation requests for a limited number of tickets from qualified investors, providers and individuals responsible for evaluating solutions for their organization. Entrepreneurs/start-ups must be active members of StartUp Health to be eligible to attend.